Is there really a difference between the leather used to make a normal belt and gun belt leather? There actually is. 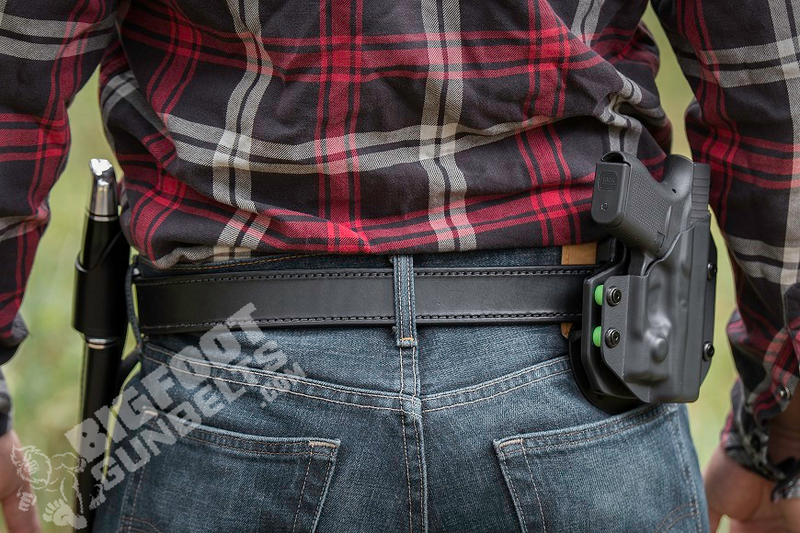 Gun belts and other working leather products usually are made of a different type than the typical leather belt that you might find in the typical store. Much of the difference comes down to both the type of leather used to make the belt and the tanning process, which makes a difference and in a number of ways. After all, there's more to making a good gun belt than just making it thick. There are several leather grades, usually referred to as the "grain" of the leather. Each has advantages and disadvantages, and each has a place. Some grades are good for things like a stiff gun belt and others are good for non-working applications. Each "grain" corresponds to a part of the hide. Skin, you see, is multi-layered. For those that missed health class, there are two primary layers - the epidermis (the hard outer layer of skin) and the dermis, the softer, fleshy skin sitting between the muscles and any layers of fat. The grain is determined by how much of which layer and what depth of the tissue a piece of leather is taken from. The finest grade is full grain leather. Full grain leather is made from mostly the topmost layer(s) of hide. Only the best hide is selected, as the leather doesn't get sanded or otherwise treated for appearance outside of tanning and dyeing. This leather is the strongest, but is also the most expensive. Next is top grain. Top grain leather contains some of the epidermal layer, and some of the dermal layer of skin - roughly a 50-50 mix or somewhere close to it. Top grain leathers are typically sanded down for a smooth texture and uniform appearance. Strength isn't necessarily sacrificed, as it's still a durable leather. 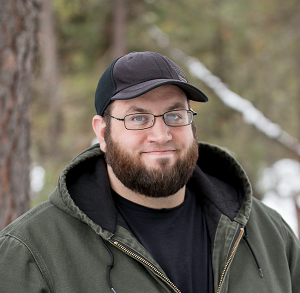 Price will typically be lower than equivalent full grain products. Genuine leather contains no epidermis; it is entirely made from tissues from the dermis. Usually, it's the hide that's left after full grain leather has been split away from the hide. Genuine leather is often painted or finished to look like top or full grain leather, but it will quickly show its softer nature. Suede is genuine leather and is fantastic for shoes or gloves, but isn't suited to any load-bearing applications. It's cheap and looks good at first, but degrades quickly. After the grain comes leather tanning, which is the chemical treatment process that a leather is subjected to. 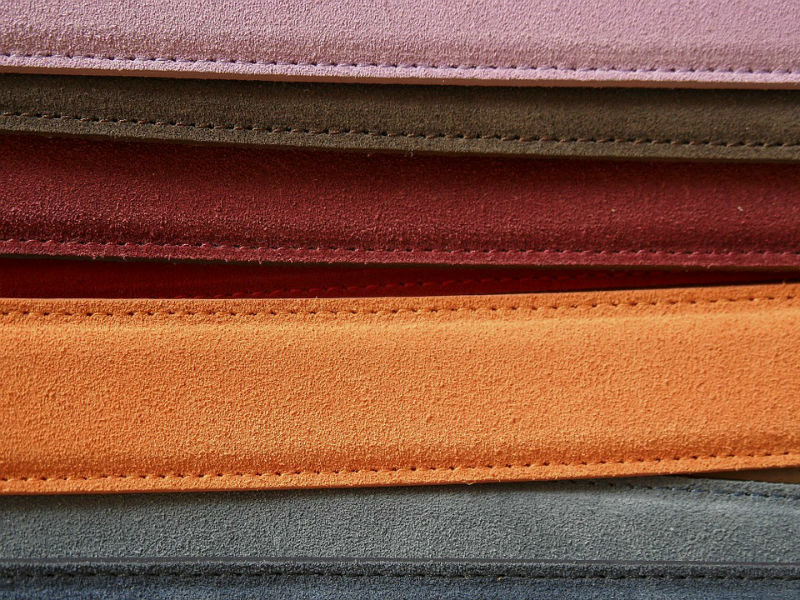 Most leather gets one of two treatment varieties: vegetable or chrome. There are other tanning processes out there - such as the hyper-rare brain tanning operation - but these are the most common. Vegetable tanning is a tanning process using natural tannins derived from vegetable matter. One of the most common sources is tree bark, such as that of the oak, fir or hemlock trees. (The German word "tannenbaum" was derived from the word for trees suitable for tanning.) The advantage of vegetable tanning is that it yields a harder product, more suited for working applications. For instance, bridle leathers are vegetable tanned. Chromium-tanned leathers are tanned using a solution with a certain amount of chromium in the tanning solution. They are produced more quickly - far less time is needed for tanning - but they are also much softer. Thus, chrome-tanned hides are far more suited to use as handbags, gloves, leather furniture and so on. What's the difference between gun belt leather and that found in the typical department store belt? The typical department store belt is often enough genuine leather that's been spray-painted to look like full or top grain leather. A decent gun belt is going to be made of at least top grain leather, if not full grain leather. A good gun belt should also be vegetable tanned, since it's a working item. Granted, it's also a fashion item, but gun belt leather is meant to be load-bearing and stay ample to the task for years. Most department store belts just aren't up to that task. Not too many regular belts come with a steel insert for durability either. 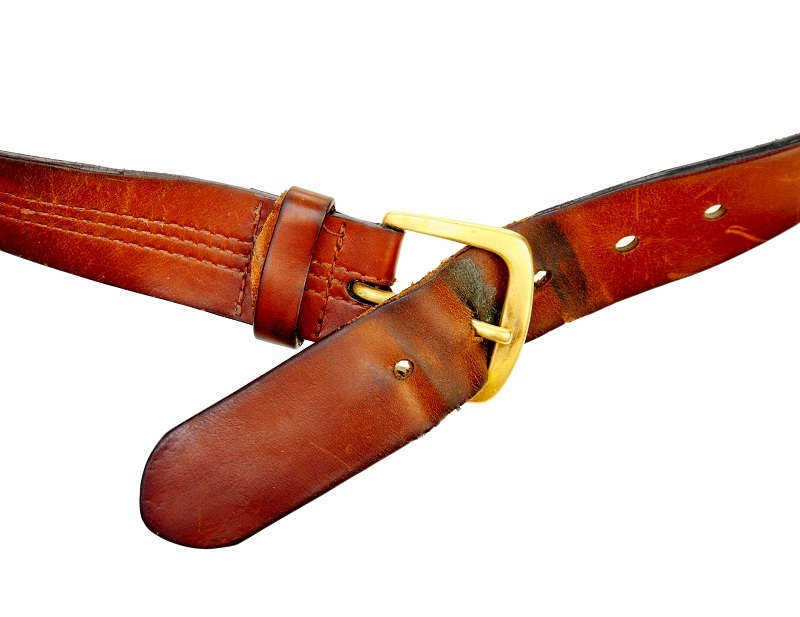 In short, the difference is that gun belt leather is made of tougher stuff than the typical leather belt. 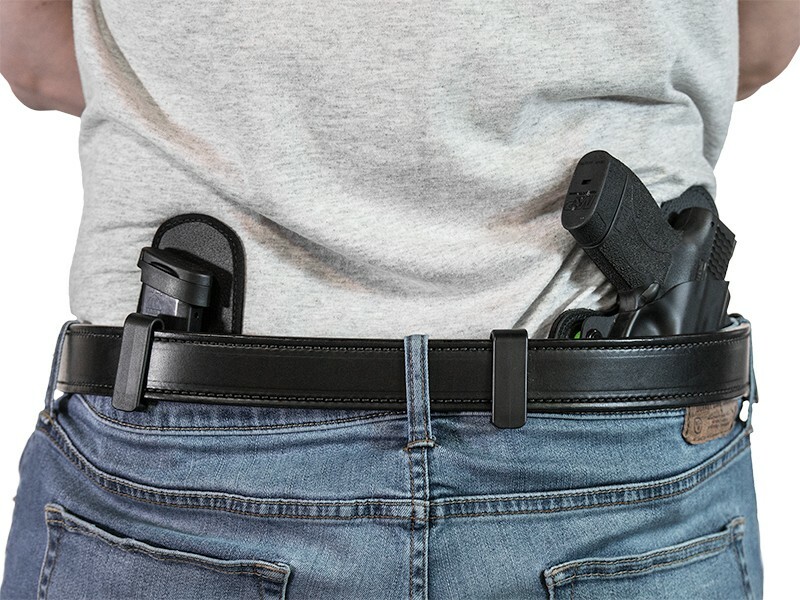 Granted, there are some leather belts out there that are built strong enough for carry but for the most part, it's best to get an actual gun belt. After all, they are the tool that's designed for the job.